An economic revolution – the so-called sharing economy – has been on the rise in recent years. Many businesses such as Lyft, Airbnb, and Uber have used the investments of others and created a new type of market. Could the electricity market be next? Boris Defourny, assistant professor of industrial and systems engineering at Lehigh University and member of its Integrated Networks for Electricity (INE) research cluster, is trying to understand how this can take place. Recently, Defourny was awarded a grant from the National Science Foundation to study related market models and create theory and algorithm strategies that can maximize the use of renewable energy for use across the power grid. The distributed nature of capturing renewable energy makes it ideal for a similar economic distribution anyone from homes, to government agencies and major corporations, can take up this distributed renewable energy capture. Renewables are on the rise. Currently, about 10 percent of U.S. electric power comes from renewable energy systems. In some countries this can be as much as 20 percent, thanks to interconnections with neighbors. Yet in terms of instantaneous production levels, wind and solar are inherently volatile, and as such cannot be relied upon and fully utilized. This variability gives rise to the idea that a better coordination of these smaller, diverse, distributed power sources, coupled with an expansion of distributed energy storage resources, would allow for greater overall utilization of clean, renewable energy. The researcher believes that in the not-so-distant future, residential consumers and small energy producers who have become investors in renewable energy technologies will be incentivized to supply clean energy. Utility firms and load aggregators will also be able to leverage the clean energy in real-time for other consumers, even when its supply and demand fluctuates. Defourny states that this is not possible now because of operational and contractual issues. This does not change the fact that the reliance on fossil fuels and the related environmental impact can be significantly reduced by integrating more clean energy into the grid. Today, anyone can sell energy 'back' to the grid, but the risks are economically prohibitive, and under the current approach, power companies are operationally constrained from relying upon and distributing this power. Will Anaheim University Become The World's First Paperless University? Defourny intends to create technology and business models that can create mutually-agreeable conditions for the utility firms as well as the consumer/supplier. He aims to clearly understand problems such as necessary payment mechanisms, incentives that can support adoption and participation on a large scale, and the sharing of associated financial risk. "It is a classic network effect," he says. "Greater participation yields greater individual and societal benefit. It needs a critical mass to really take off, and hopefully we can build some tools to help move the market in that direction." As a part of his work, Defourny will study contracts, transaction environments, and control mechanisms that will allow for optimal pooling of clean energy. Hopefully, this can lead to a power gird that is based on “on demand,” short-term transactions. If a windmill farm is capturing far more power than its owner predicted, the sudden bursts of power should ideally be sent through the grid to the load centers where it is useful, thus easing the burden on traditional generation methods. This feat can be enabled by having more distributed devices plugged into the grid and willing to provide balancing services. Those who share capacity or provide flexibility for this purpose should be fairly compensated. Defourny went to the University of Liege in Belgium, from where he earned his masters and doctorate in electrical engineering and computer science. He also studied Japanese and piano at the Centre d'Etudes Japonaises de l'Universite de Liege and Conservatoire Royal c Liege, respectively. Defourny worked with the Princeton Laboratory for Energy Analysis (PENSA) in the Operations Research and Financial Engineering Department at Princeton University as an associate professional specialist before he joined Lehigh's faculty. Robust optimization, stochastic optimization, machine learning, modeling and approximation, electricity markets, operations planning, and energy systems analysis are some of Defourny’s research interests. Defourny is a main researcher in Lehigh's INE research cluster, which is a multi-faceted, collaborative group of Lehigh researchers. 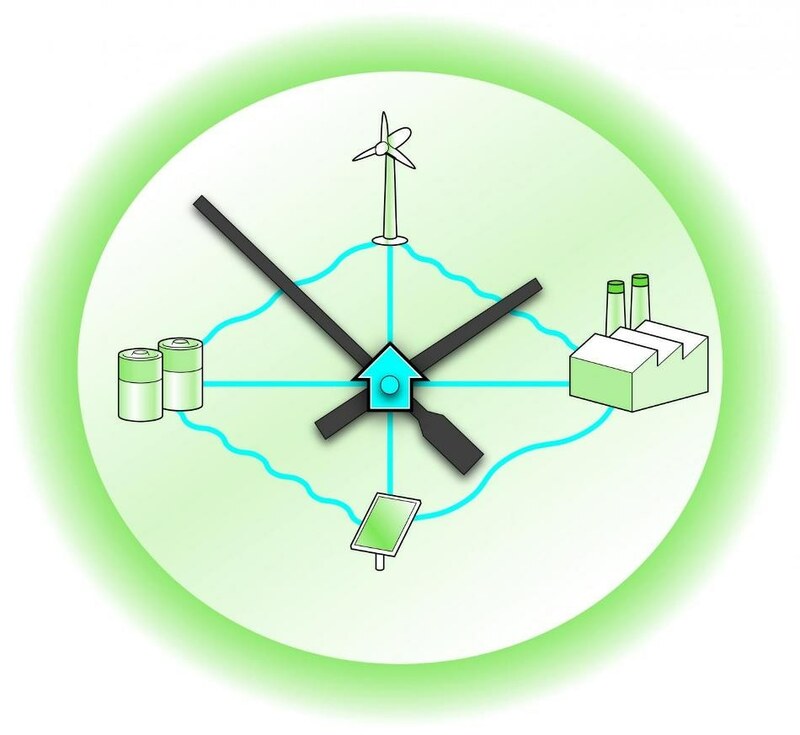 The group focuses on the interdependent flow of information, money, and electricity essential for the operation of what is called the 'smart grid' – a term that refers to broad efforts across academia, government, and industry to incorporate and leverage innovative technologies throughout power infrastructures. The overall goal of the researchers is to meet global energy demand and, at the same time, protect the environment for the generations to come. In a research area where focus tends to be dominated by traditional fields and perspectives, few academic research centers can do what Lehigh does. Boris' systems-level perspective on the business case for shared renewables is yet another great example.